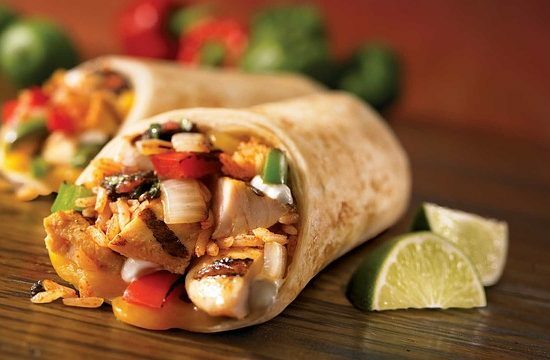 Ever wake up in the wee hours after a good dream – or a bad burrito – with a marvelous thought? One that in the light of day really makes no sense whatsoever? This column takes note of similar (I suspect) Christian-based notions that no one stopped before marketing. This year marks the fifth-annual Bad Burrito Awards for bad gift-giving ideas or inspiration. Game shows. The Turkish TV game show, “Tovbekarlar Yarisiyor (or Penitents Compete),” is a bold new approach to evangelism. Non-believers are brought together with spiritual guides from different world faiths. Those who convert win a trip to the chosen religion’s holy site. It is not clear whether the show actually began airing in September or was cancelled first. Greetings. Planning to send Christmas cards? Why not use the Internet? Even better, send a really special message to your unsaved loved ones and co-workers at youvebeenleftbehind.com. The service, which will be triggered by the rapture, allows you to store up to 250 MB of documents and 62 different e-mail addresses for only $40 for the first year. Prayer. Another Internet service helps busy Christians with their prayer lives. Information Age Prayer uses a text to speech synthesizer to say your prayers daily, even if you forget. There are Protestant, Catholic, Jewish, Muslim and unaffiliated versions, or pray for a friend. Rates start at $3.95 a month; prayers for luck are free. Church outreach. This year New Bethel Church in Louisville, Ky., is recognized for its “Open Carry Celebration” emphasis, combining faith, patriotism and – the freedom to bring along firearms. Scripture. Some folks might be interested in the American Patriot’s Bible published by Thomas Nelson. Produced in a coffee-table book size, this New King James Version Bible is filled with pictures, images of American military history and nationalistic Christian heritage. Décor. People often collect nativity scenes. What exactly does a frog nativity scene from The Frog Store say? Or dog, cat, bear, moose and chicken nativities from Big Sky Carvers Nativity Kits? In the kitchen. Try drinking your coffee out of a “Jesus Shaves” mug from Shakespeare’s Den and elsewhere. Add hot water and watch Jesus become clean-shaven. Or use Egg Cooker’s nativity egg timer. Teens and kids. For personal décor, consider the dubious message shared by the “Lookin’ Good for Jesus” mini-kit from FridgeDoor with lip balm, cream and compact mirror. And one more nativity scene that adds the “pow!” to this pow-erful image: A color-your-own nativity paddleball set from Oriental Trading. Christmas reminders. CatholicShopper.com offers a baby Jesus in a “Keep Christ in Christmas” pouch. Now you can keep Christ both in Christmas and in a handy tote bag. A second ornament lets you supply the name for a white ball printed with “Christmas from Heaven…” Kind of reminds you of a “Greetings from Niagara Falls” postcard. This Christmas, keep in mind that sometimes it really is the thought that counts. When you’re looking for inspiration, only consider the best!